sounds of master sources into each CD media. “K2HD MASTERING+(plus)CRYSTAL” realizes to pack original attractive sound quality brought out by K2HD Mastering into a glass CD with sound information in a very wide frequency and high resolution. This is the ultimate technology of manufacturing advanced audio CDs realized by the cooperation between FLAIR of Victor Entertainment. and Memory-Tech Corporation. We made use of this ultimate high technology and know-how acquired through such cooperation not only in the glass material but also in every aspect, and established “K2HD MASTERING+(plus)SERIES”. Your K2HD mastered music will be packed into a different CD format in the best condition. “K2HD MASTERING+SERIES” is not just a combination of mastering technology and advanced audio disc. FLAIR（mastering studio）of Victor Entertainment and Memory-Tech Corporation（pressing plant）cooperate and control from FLAIR’s mastering system to Memory-Tech’s pressing process consistently and thoroughly with the original technology and know-how, and enhance the potentiality of CD media. “K2HD Mastering + CRYSTAL” has three outstanding features. First, K2HD Mastering maximizes a quality level of the master. Second, we adopt glass material which is considered as the best material for CD. This is based on the original and high technology of manufacturing glass CD named “CRYSTAL DISC” by Memory-Tech Corporation. This technology adopts Photo Polymerization process（2P process）using a metal disc stamper for pit transcription. This process makes pit transcription highly precise compared with the conventional injection molding process. The technology of 2P process was cultivated by its production of test discs for calibrating industrial optical pick up heads. In addition, “K2HD MASTERING + CRYSTAL” adopts the use of glass substrate instead of conventional polycarbonate substrate. As the reflective layer, gold is adopted in place of conventional aluminum. Glass substrate is much superior to the conventional polycarbonate substrate in terms of flatness of surface, and is also hardly influenced by the variation of temperature and humidity. Furthermore, the absence of birefringence coming from the optical uniformity of glass substrate realizes signal with extremely low noise and jitter. Third, we do not leave “K2HD MASTERING + CRYSTAL” as just a combination of mastering technology of K2HD Mastering and advanced audio disc of CRYSTAL DISC, but develop various know-how and original technology to realize higher audio quality. This point is so important that it has the most effect on the sound of “K2HD MASTERING + CRYSTAL”. In the mastering process, we rebuild the mastering system best suited for “K2HD MASTERING + CRYSTAL” which is much different and evolved from the conventional K2HD Mastering. We re-examine the fundamental system in the mastering room and reset some parts of the common practice, and the best suited system for a glass CD is established from zero. Due to such efforts, we achieve a totally different master quality from the conventional K2HD Mastering. In the pressing process as well as the mastering process, we utilize the system, know-how and joint technology best suited for K2HD Mastering. Every point in the pressing process, such as master, cutting machine, disc stamper and so on, is re-examined for the sound improvement and we establish the ultimately genuine stamper-cutting process with the shortest transfer way of master data sources. Similarly to the “direct cutting” of analog records, these processes enable us to pack all the fresh and attractive master sounds and realize the richer expression than the normal Crystal Disc. The sound quality of “K2HD MASTERING +CRYSTAL” is never able to be expressed by K2HD Mastering or Crystal Disc alone. The sound of “master quality” is achieved only by the above-described processes with the technology and know-how developed by the cooperation between FLAIR and Memory-Tech Co.
"K2HD Mastering + CRYSTAL" has the rich expression which far exceeds the one of normal CD format of 44.1kHz / 16bit, and there is the world beyond your imagination which has the sensitivity incomparably higher than the one expressed by the conventional polycarbonate substrate. ※To prevent a change of the sound quality from the master as much as possible, "K2HD MASTERING + CRYSTAL" has the recommended standard in the specification of the label design. 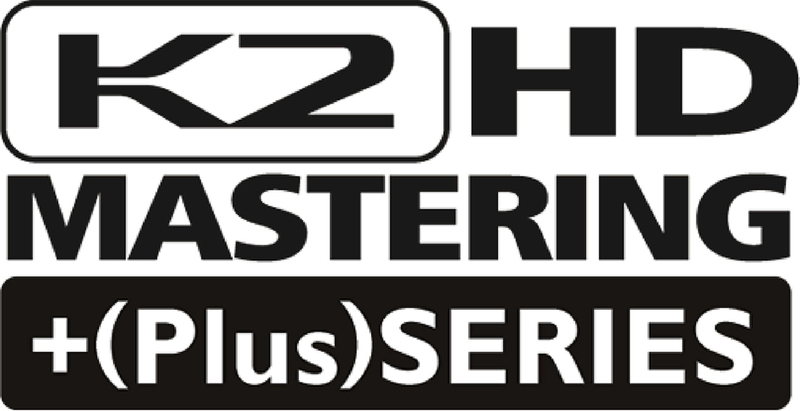 “K2HD MASTERING + HQ” realizes to pack the original attractive sound quality brought out by K2HD Mastering into HQ（High Quality）CD with sound information in a very wide frequency and high resolution. HQ（High Quality）CD is the advanced audio CD developed by Memory-Tech Corporation. HQCD has high quality polycarbonate which is used for LC TVs and plastic lenses. With this new material, high-precise pit transcription can be achieved. Its high transparency and low birefringence also contribute to advanced audio quality. In addition, silver alloy is utilized as a reflective layer material of HQCD. This material was originally developed for HD DVD by Memory-Tech Corporation and they took advantage of such know-how and technology for HQCD. The reflectivity of silver alloy is considered much better than the conventional aluminum. The reflective layer of silver alloy has superior durability, heat and light resistance and is very suitable for car audio system as well. These features brought from superior materials realize high sound quality close to the original master sources. In “K2HD MASTERING+(plus)HQ”, we do not just combine mastering technology of K2HD Mastering with advanced audio product of HQCD, but take advantage of various know-how and original technology acquired from “K2HD MASTERING + CRYSTAL” in order to realize master sound quality. FLAIR’s criterion is “original sound” which means “master sources” in case of CD production. How do we convey the attractive sound of master sources? How do we pack the master quality into CD media? We share such criterion with HQCD. We adopt cooperative technology, system and know-how suitable for “K2HD MASTERING +HQ” and try to establish the best solution and advanced audio quality with no compromise. We realize much different audio quality and expression from conventional HQCD. Artists, writers, composers and producers always hope to get the same quality of master sources to listeners. “K2HD MASTERING+(plus)CD” is manufactured by the absolute criterion to realize their hopes. We utilize various know-how and original technology acquired from “K2HD MASTERING + CRYSTAL” to manufacture normal CDs as well, which enables to improve the master quality. Also, the potentiality expressed by CD is highly enhanced by optimizing the pressing process to match the sound colors of K2HD Mastering. The engineer also adapts the characteristics of cutting machine and disc stamper to K2HD Mastering when he/she produces their sound. In order to get you contents of CD（i.e. songs）more attractively, we enhance the potentiality and quality of CD media itself as well. In “K2HD MASTERING + SERIES”, FLAIR of Victor Entertainment controls and supervises from mastering to CD pressing process thoroughly.First of all, FLAIR creates the high quality master tape from your sound sources. Any formats are acceptable, from analog tapes to digital data files. We can exchange the data online. Then, cutting and pressing are completed from K2HD-master in the exclusive production line developed by the cooperation between FLAIR and Memory-Tech. Lastly, FLAIR does the sound check and deliver the finished products. developed by FLAIR at Victor Entertainment. ※“K2HD MASTERING + SERIES” products can be played on all CD players.